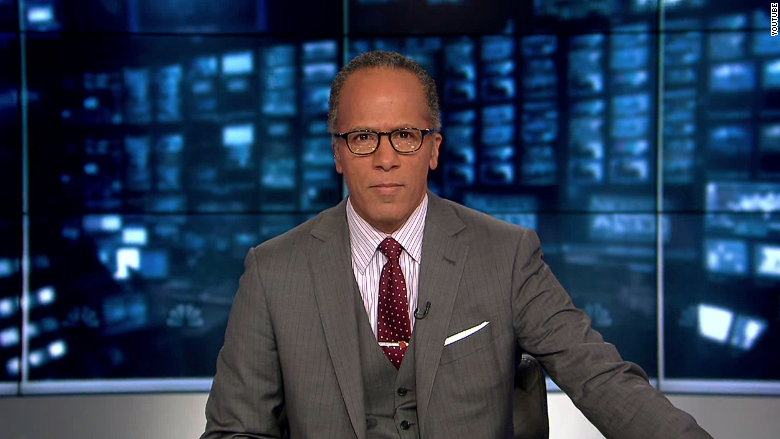 Lester Holt never wanted to become the anchor of "NBC Nightly News" this way. But through Brian Williams' lapses in judgment, and subsequent punishment, Holt has been promoted to one of the most prestigious jobs in television news. NBC confirmed on Thursday what has been apparent for several weeks: Holt is being upgraded from substitute anchor to permanent anchor of the "Nightly News." Holt is on a long-scheduled vacation this week -- his first significant time off since Williams was suspended in February. So tweeted shortly after NBC made his promotion official: "Promised my family I wouldn't think about work during vacation. Just got the ok to break that promise. Excited and grateful for new role." In a few days, Holt's name will be added to the "Nightly News" logo. The anchor has been filling in for Williams without the benefit of much promotion, but that will change soon: a robust marketing campaign will start next week. Related: Brian Williams gets chance to "earn back everyone's trust"
Thursday's announcement makes Holt the first African-American solo anchor of a weekday network nightly newscast. "It's about time!" said Richard Prince, a columnist for the The Maynard Institute who covers race and the media. He called Holt "richly deserving" of the weekday anchor chair and said "his appointment is an important sign that the networks realize they must keep up with our multicultural times." he appointment makes Lester Holt the first African-American solo anchor of a weekday network nightly newscast. The National Association of Black Journalists also congratulated the 56-year-old Holt and took stock of the historical nature of the moment. "It is thrilling to see that an African-American will for the first time in television history be the solo anchor of an network evening newscast," Dedrick Russell, a NABJ vice president, said in a statement. "Lester's presence will surely inspire the next generation of young journalists to make a commitment to the craft and aim to tell honest, creative, and compelling stories which illuminate the diverse world around them," Russell added. Holt follows Max Robinson, who was the first black co-anchor on the network nightly news in the late 1970s. He shared the job with two other anchors. Carole Simpson, Russ Mitchell and Holt have also been weekend anchors, but Prince said the weekday job -- the top job -- is a significant distinction. "Black television journalists have long complained about being consigned to what they call a weekend ghetto," Prince said. Holt, a 15-year veteran of NBC, has been co-hosting the weekend editions of the "Today" show since 2003 and the weekend "Nightly News" since 2007. He also hosts the "Dateline" newsmagazine. Related: who is Lester Holt? 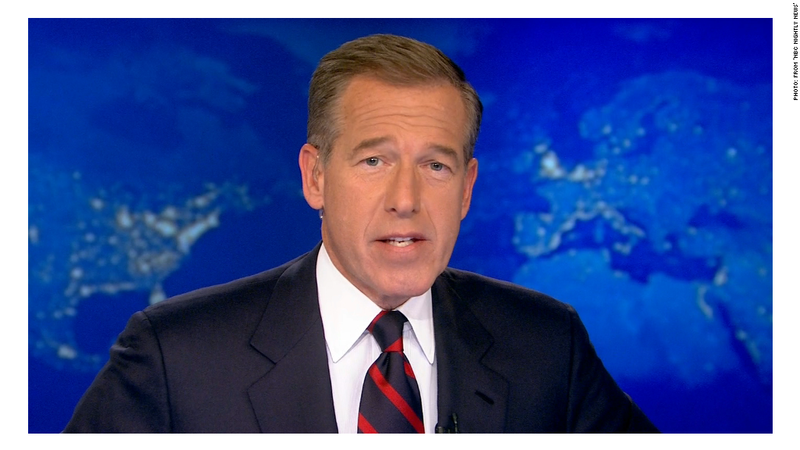 NBC had no immediate announcements about who'd be taking over for him on the weekends. CNNMoney previously reported that Holt and his colleagues were in the dark about the deliberations over Williams' fate. But it recently became pretty obvious that Holt would be staying put. A revised contract for Holt, compensating him for his promotion, will pay him "significantly" more than he currently makes, a person with direct knowledge of the deal said Thursday. But the person declined to put a specific price tag on the deal. Within NBC, Holt seems to be universally well-liked. "Lester has oil tanker-sized reserves of good will," one longtime NBC staffer said earlier this month. "Many people are rooting for him." Some of them celebrated the promotion announcement on Thursday. In a statement, Holt called the promotion an "enormous honor." "The respect and admiration I have for the 'Nightly News' team has only grown deeper over the last several months that we've been together," he said. "Day in and day out under an uncomfortable spotlight they have produced world-class journalism. I'm very proud and grateful to be part of such an unflappable and dedicated team of professionals as we move forward together." Holt's son Stefan, a morning news anchor for NBC's station in Chicago, echoed that pride. On vacation with dad, he tweeted, "I know he is going to do an amazing job anchoring 'NBC Nightly News.'"